Paul McCartney now believes John Lennon was RIGHT to split the Beatles . Beatles Radio: The Beatles, Solos, Covers, Birthdays, News The Fab 4 and More! Paul McCartney now believes John Lennon was right to split the band up and devote his life to being with Yoko Ono. The Beatle, 75, was reportedly furious at the time of the split and he and Lennon struggled to patch up their friendship before he was shot dead in 1980. But speaking in the US, Macca said: “I don’t think anyone tried to pin it on anyone, it just came out that way. 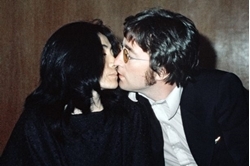 "There was a meeting where John came in and said, ‘I’m leaving the group.’, and he was with Yoko. And looking back on it, he’d reached that stage in his life.